As the college basketball world turns its attention to Minneapolis this weekend, there’s a group of people who have been prepping for far longer than the minute the Elite Eight contests ended last weekend for the last two dates on the NCAA hoops calendar – the ticketing crew from AXS prepping to control access to one of the hottest events in the sports year. 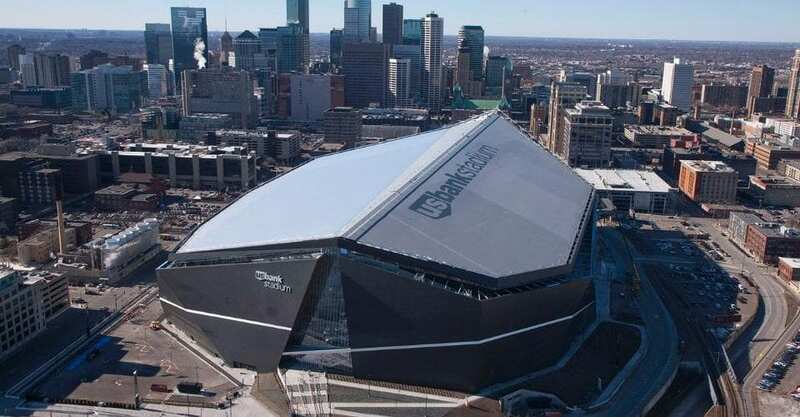 As the official ticketing partner for NCAA Championship events, it’s the job of Brian’s team to make sure that the fans making their way to U.S. Bank Stadium tonight can get through the building access process smoothly and securely. It may seem like a two-night gig, but in reality, it’s a year-round process building the game plan with each venue as the event rotates around the country. And much of that attention is paid to the technical realities of ticketing, with AXS working at the bleeding edge of mobile-forward technology for its access control – for better or worse. At any event, particularly ones with the kind of attention that an NCAA championship weekend gets, there are going to be stories of fans who get ripped off – either mobile tickets that were never delivered by folks who run scams on social media, to people getting to the gate with counterfeit tickets – put together by sophisticated scammers who can mimic a real ticket, then be long gone by the time their customer realizes the tickets are fakes. His suggestion, naturally, is that consumers to through the official NCAA marketplace for their tickets, but at minimum, fans should be certain that they are purchasing tickets through a trustworthy resale website – one that offers guarantees for any ticket purchase, as well as transfers the tickets through the proprietary system built by AXS if they are not the printed type issued to some purchasers by the NCAA. The biggest flurry of activity in terms of ticket movement will likely be late tonight and throughout the day on Sunday – as fans of two schools holding passes for both semifinals and finals suddenly find themselves holding tickets to a game they might not want to see Monday if their program is eliminated. Rather than in the past, where ticket brokers would get directly involved as games ended on Saturday to grab tickets from disappointed fans, fans can simply list on an exchange themselves and hopefully recover some cost despite the bad news for their team. One concern that has raised its head in recent years as the push to mobile-only has become more and more pronounced is the fact that mobile-only ticket types are prone to make the ticketing experience harder for fans of certain demographic groups – particularly elderly fans and lower-income fans. But Peunic believes that is an issue that will be come less and less pronounced as mobile-only continues to be the only option for many consumers if they want to get to the game. Saturday will likely see the biggest challenge for the AXS team, as thousands look to make their way into the stadium for the semifinals, which tip off late in the afternoon and should go deep into the Midwestern night. As evidenced by the major delays at the CFP National Championship in Atlanta a year ago, getting fans through the door and security can be one of the biggest headaches, and that’s something the ticketing vendor will often get blamed for, even if the delays are more about security than anything else. Whatever happens this weekend, from complete success to a couple hiccups to a major breakdown, the AXS team won’t have much time to dwell on things – it’ll be on to the next big show, as planning for the Final Four 2020 at Atlanta’s Mercedez-Benz Stadium is already underway, and will only pick up once this weekend’s big show in Minneapolis is in the rear view.